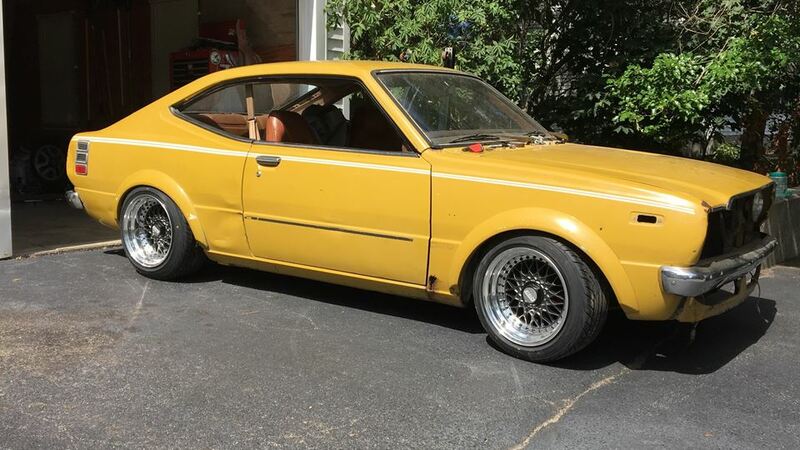 My project is this 76 SR5 Corolla or Levin as it is know over in Japan, I bought the car, mostly original with the exception of the Supra wheels and missing the center console as a runner/driver but was quickly disappointed with the 1.6l 2TC engine and so as soon as I got back east and had place to work on it I purchased a JDM Engine swap out of a Toyota Altezza SXE10. Its a 2.0L 210bhp 4Cyl with a 6 speed manual and began the surgery. Its been about 2 1/2 years in the making, but it has been slow mainly due to details and of course money, and also wanting to change and improve on so many aspects of the car that it has bogged this project down. hahahah!! I should be up and running by ToyotaFest 2019. Whats up guys, any of you Toyota fans in here building out projects? Here are a few little goodies going into my 76 Corolla.